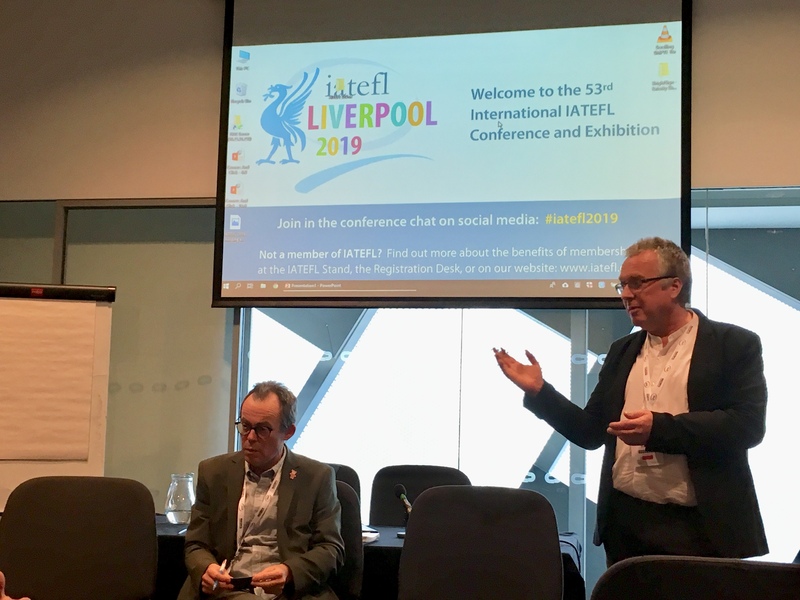 Committee members Andy Hockley and George Pickering reported that that LAMSIG Committee has been working on two main initiatives: validating professional development learning and courses for members and building a mentoring a scheme for new managers or people who would like to be managers. Andy reported on the successful activities of the last year where LAMSIG hosted three webinars and partner events in Bratislava, Cork, and Barcelona. We also applauded the successful Pre-Conference event where nearly 50 LAMSIG members spent the day discussing the topic of evaluation in our various environments. The conversation then moved on to membership and finances. The LAMSIG has a membership of about 200 people. This year LAMSIG provided two scholarships for conference attendance – one to the British Council India and one for the Roving Reporter position. George proudly announced that LAMSIG was honored for being recognised by the Fair List because the previous year’s PCE was gender balanced. The discussion then moved on to the LAMSIG newsletter. One of the challenges is having enough content for the newsletter and the Committee members requested members to please submit articles – nearly any format is acceptable. It was suggested that the newsletters could have a theme which may help facilitate member contributions. The meeting ended on a very supportive note. We acknowledged that management can be a lonely job and that LAMSIG sees it’s role as not only a group that provides specialized trainings and services, but really a sense of community for ELT leaders and managers all over the world. We had quite a lot of discussion about how to stay in contact – through social media and possibly by creating a closed Facebook page. 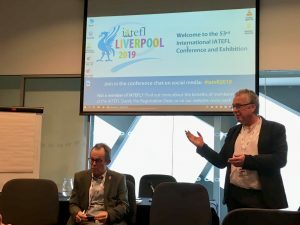 There was a lot of interest in having ELT chats where people could read and discuss articles – the work now needs to be on finding the right forum to facilitate that process. As someone new to IATEFL and the LAMSIG, I can resoundingly say it is easy group of people from to learn from and feel supported by. Professional organizations are as strong as their membership. Let’s interact, engage, and write so as to contribute to this strong community of ELT leaders and managers.